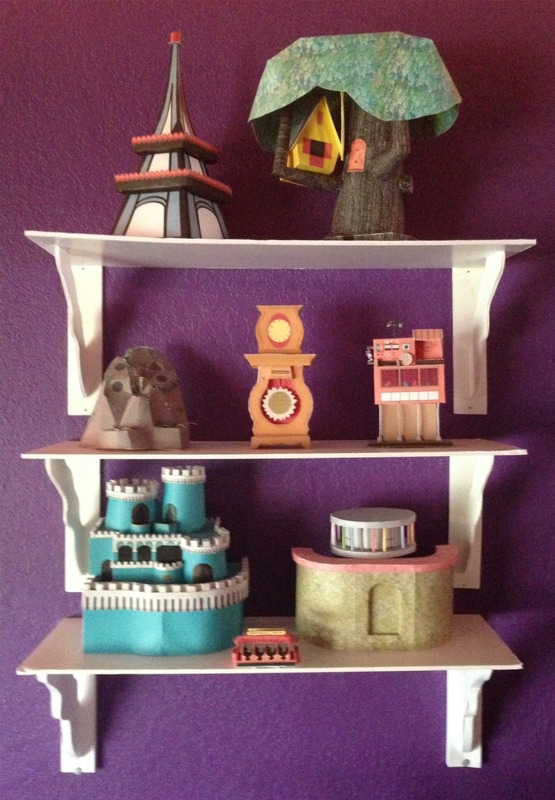 After finishing my Neighborhood of Make Believe models, I wanted a good way to display them. 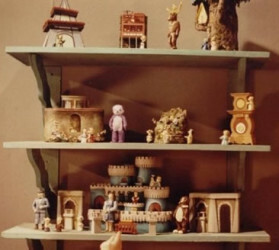 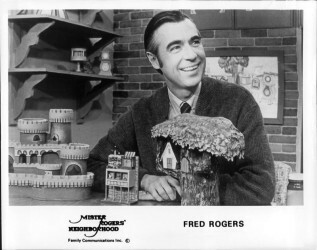 What better way than to build shelves like the ones Mr Rogers had in his kitchen. 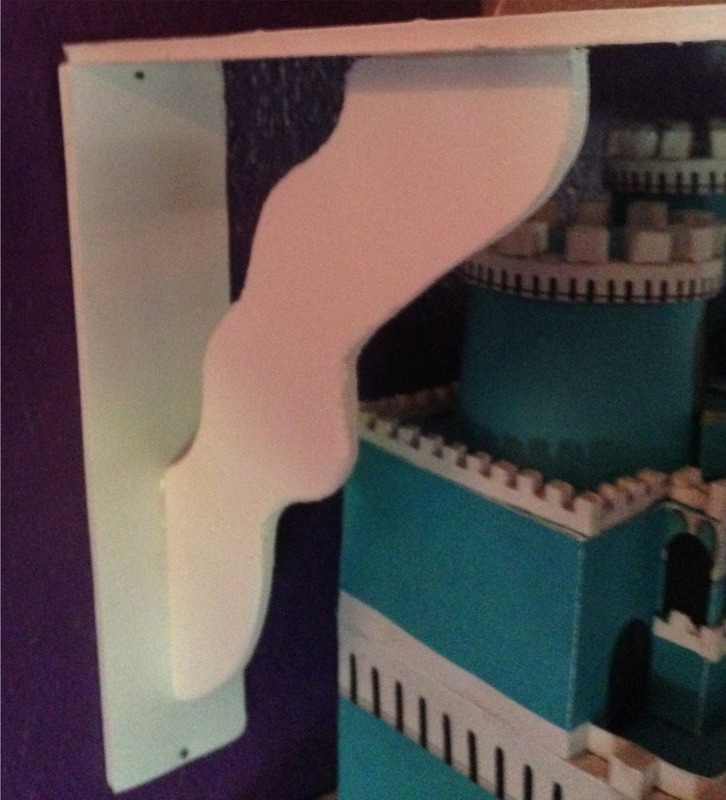 Given how light paper models are, I decided I didn’t need to go to the time or expense to build wooden shelves, I could just build the brackets out of paper and use foam core for the actual shelves. 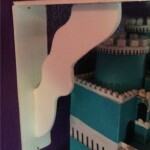 The bottom shelf is held up with paper brackets. 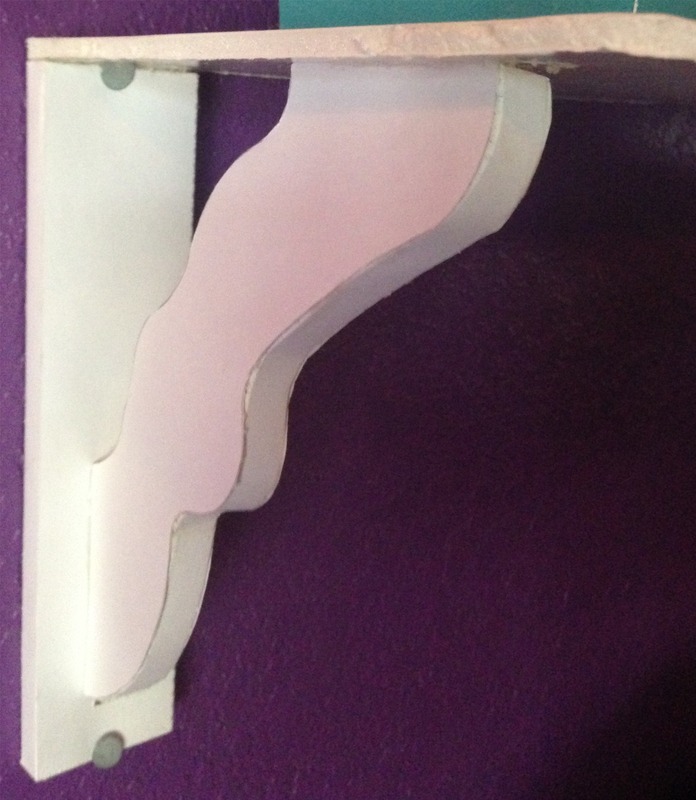 For the top two shelves, I took a shortcut and just traced the bracket pattern onto foam core and cut them out. 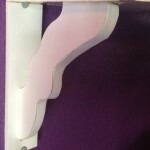 I made my shelves 24 by 8 inches, but you can do any size you want.